Learn, design, and sell electronics! Start reading ElektorLabs magazine and join Elektor’s fast-growing global community of electronics designers. Insert your coupon code below for a FREE 1-year Elektor Green Membership*. You save over $75! 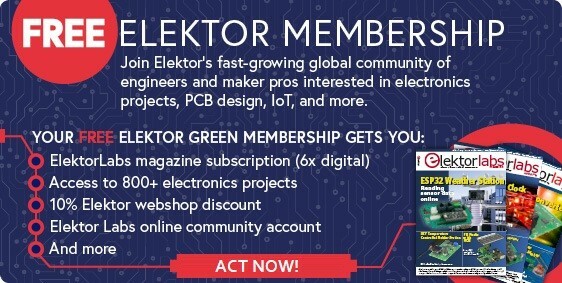 ➔ Insert your coupon code india2019 below for a FREE 1-Year Elektor Green Membership! 6 editions of ElektorLabs magazine (digital) with exclusive access to 1000s of electronics projects and schematics. 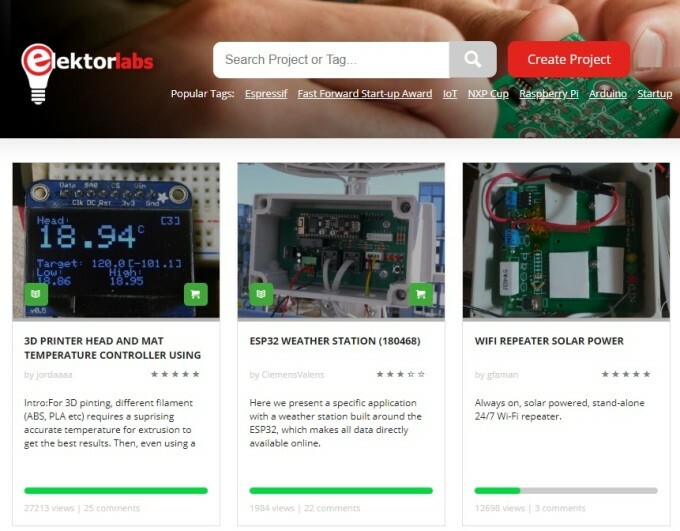 ElektorLabs magazine (click for sample) covers key topics such as: rapid prototyping (Arduino, Raspberry Pi, and more), embedded systems design/programming, robotics, 3-D printing, IoT, wireless communications, and much more. Every edition is loaded with: DIY Electronics Projects; Electronics DesignTips; Real-World Lab Tests; and Product News/Reviews. * Please note: This offer is only valid for new customers, not for current Elektor members. After entering your coupon code, you will be redirected to the registration page, where you can complete your order and immediately afterwards start enjoying the full benefits of your free Elektor Green Membership.